Since the very beginning of Yolla one of the most frequently asked questions was: “How does it differ from all the apps I’ve been using by now”? It differs and a lot! Instead of writing tedious explanations we decided to shot the video to answer all at once and picked someone charismatic to show how Yolla works. The video covers almost all the features that Yolla has by now. 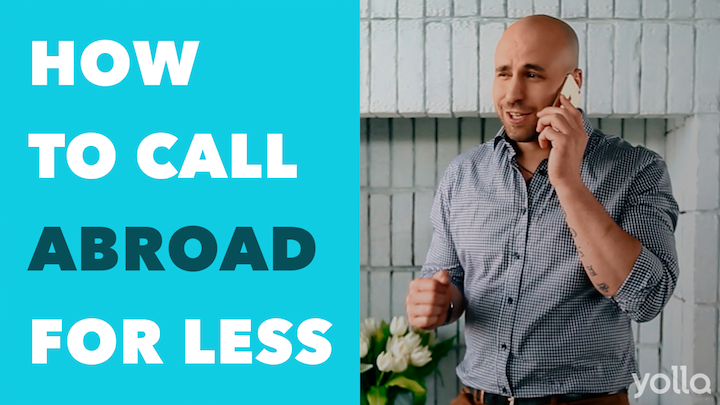 And it probably is the best guideline on how to easily make cheap international calls with Yolla! We’re pretty sure you’ll love it. It’s the last month of summer but don’t get upset! We’ve prepared great news for all our Android users. Finally Yolla can boast it’s brand new Android application design! We’ve made so many positive changes you will hardly recognize Yolla from the first sight.